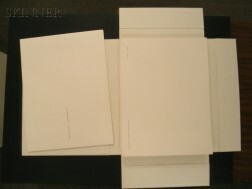 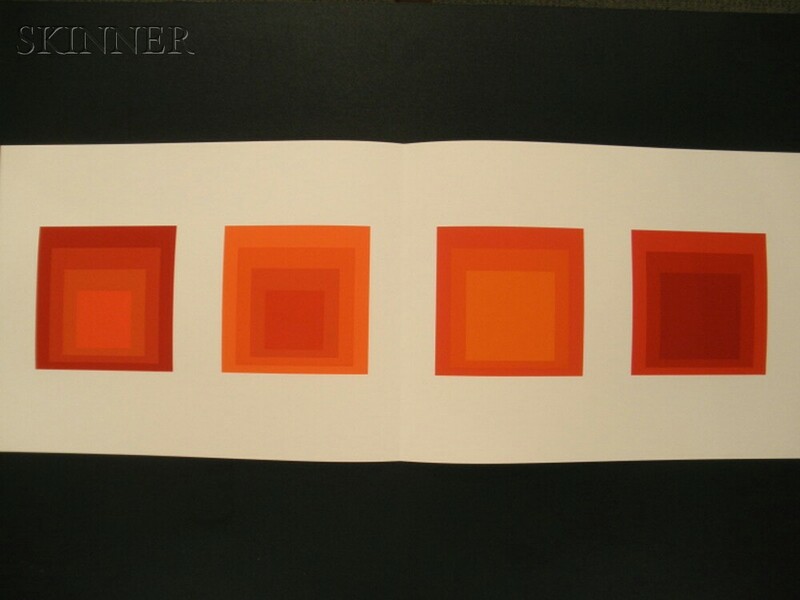 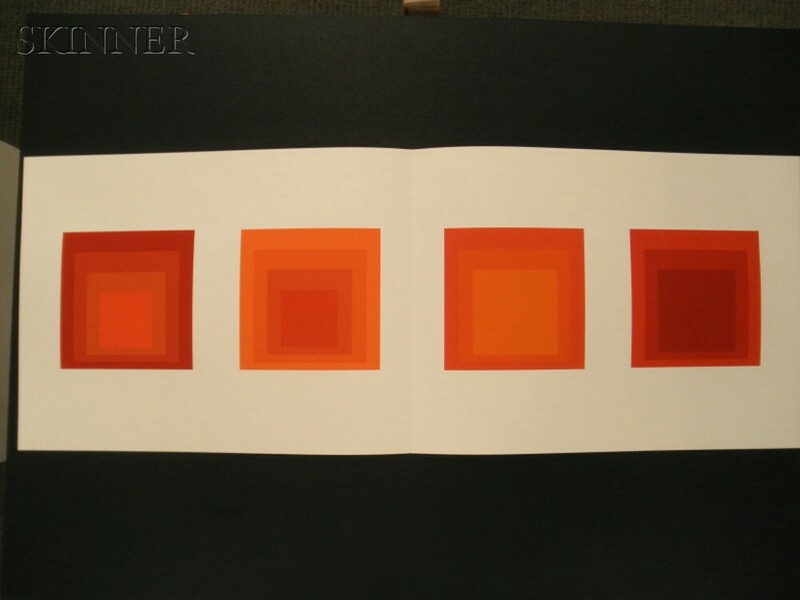 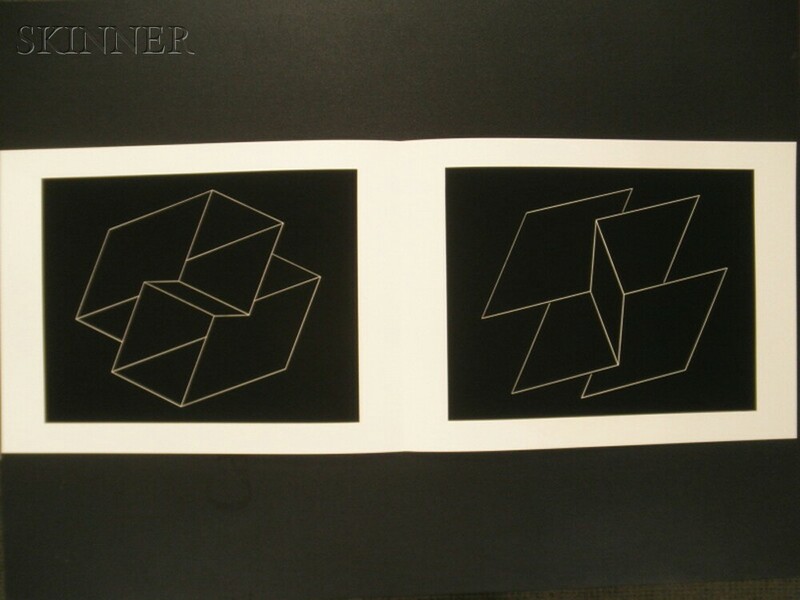 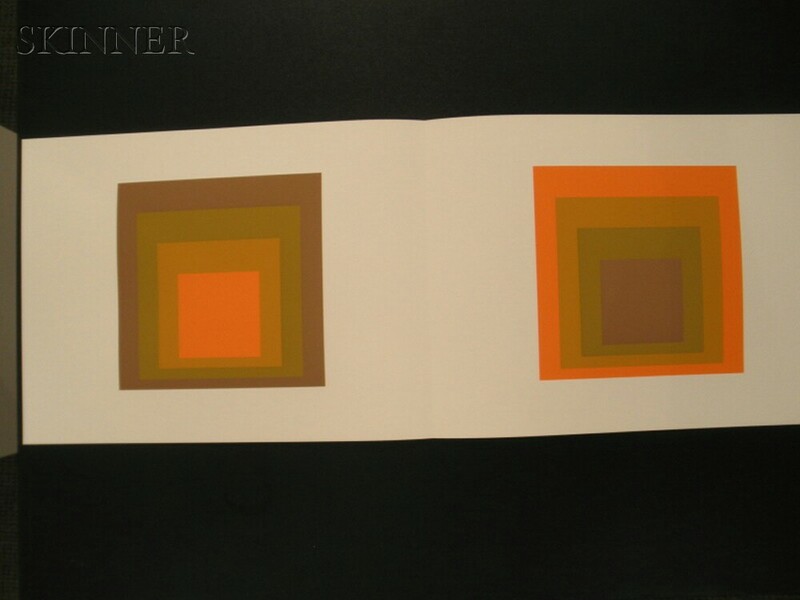 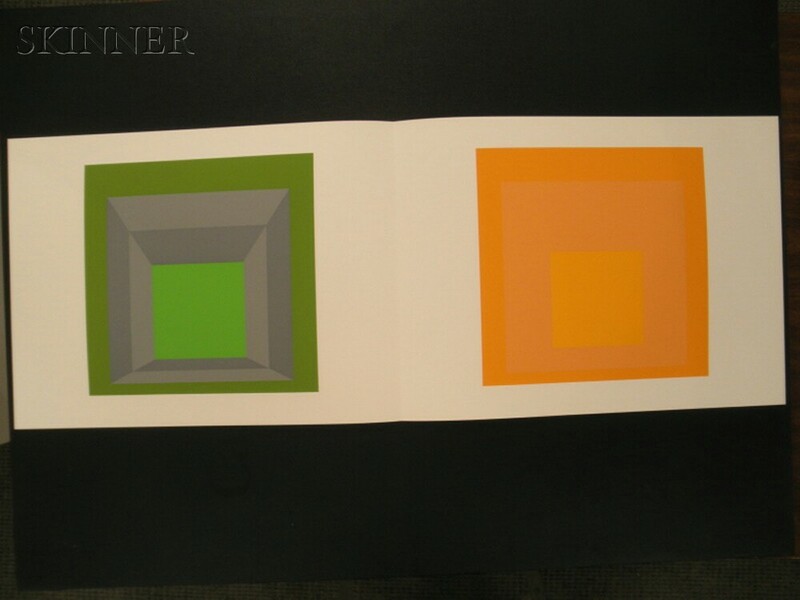 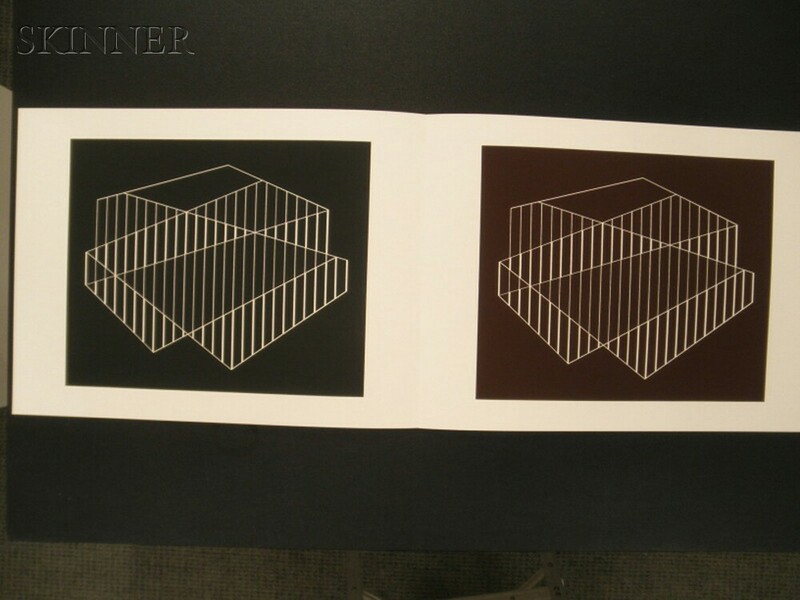 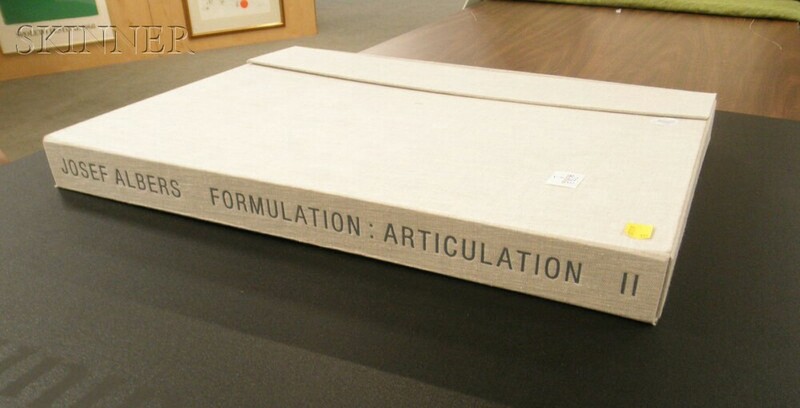 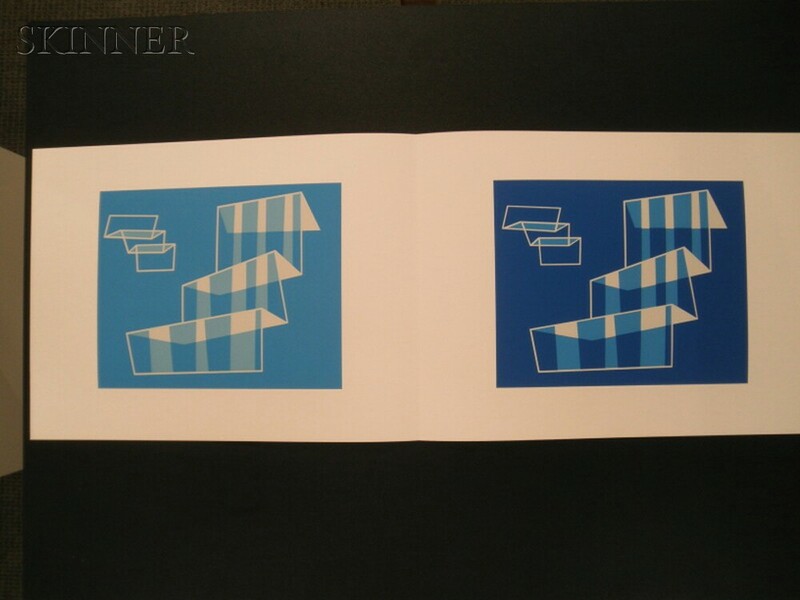 Twenty-five Folders from the Double Portfolio FORMULATION: ARTICULATION, 1972, edition of 1,000. 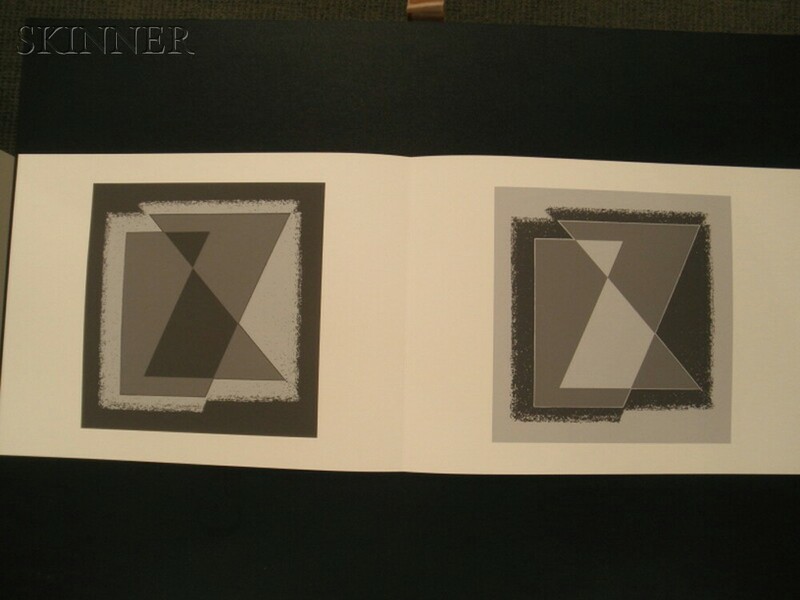 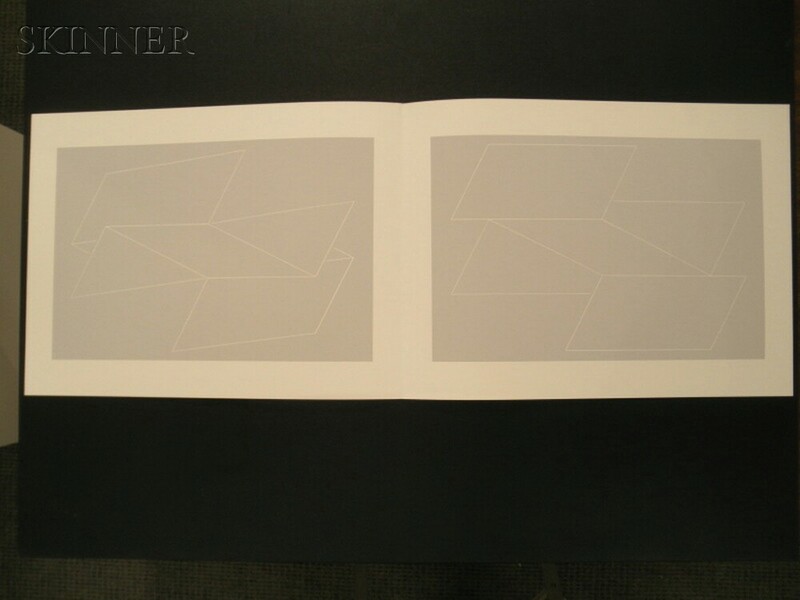 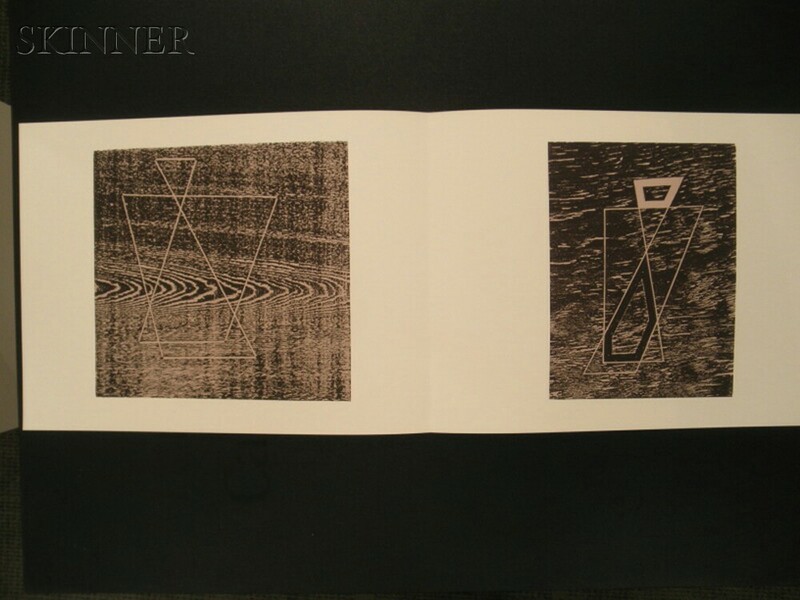 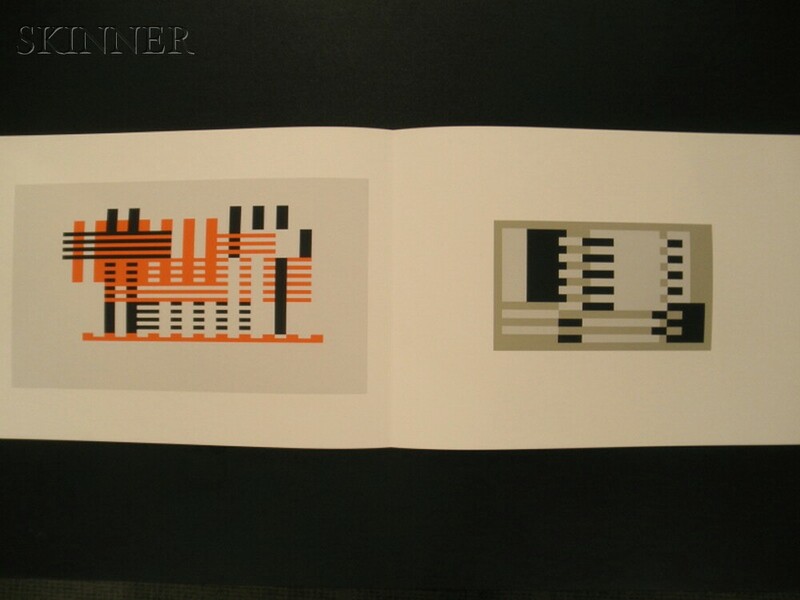 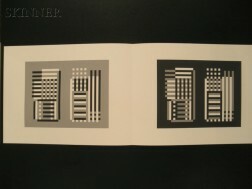 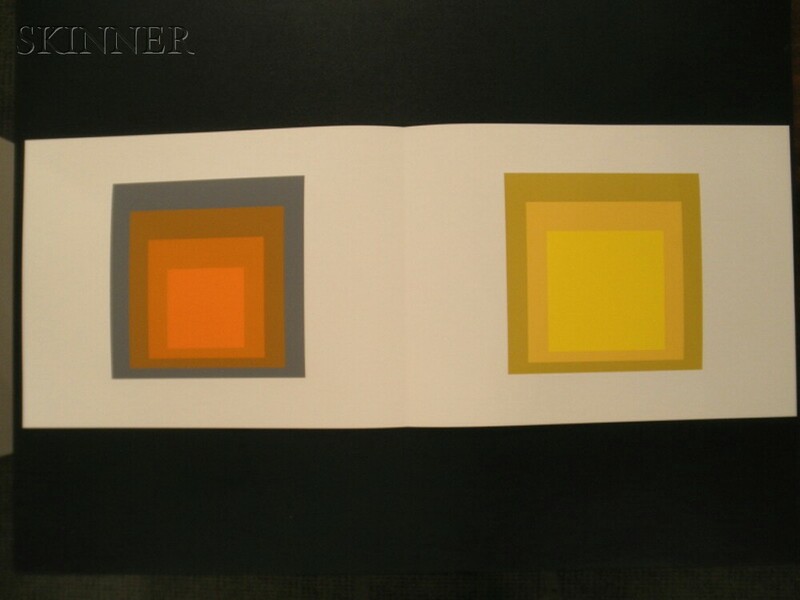 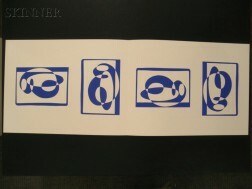 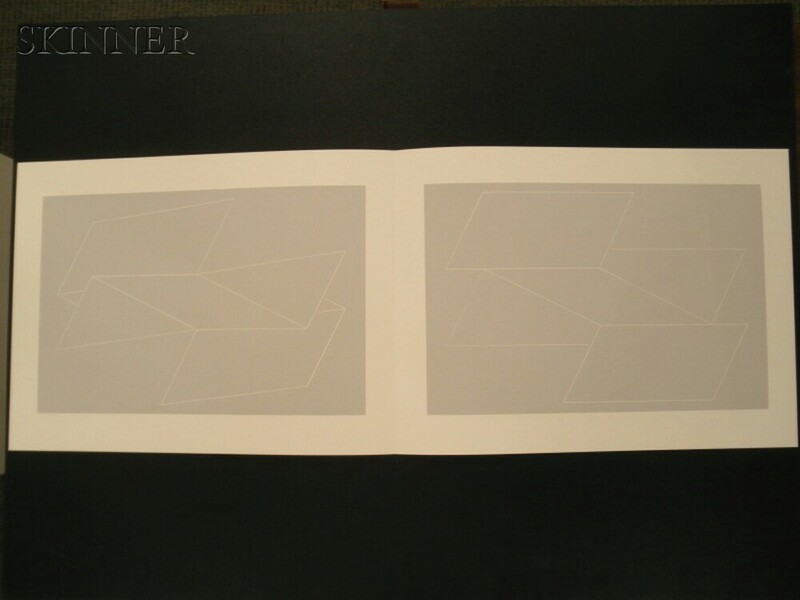 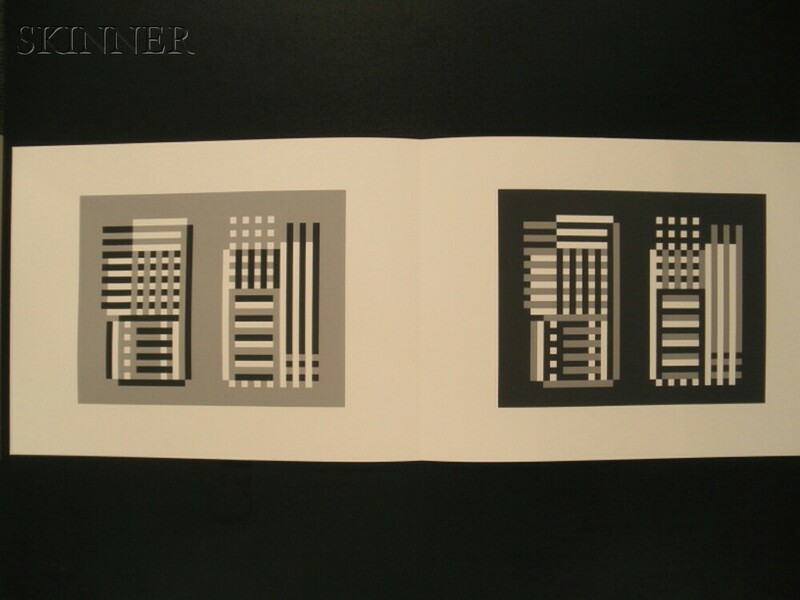 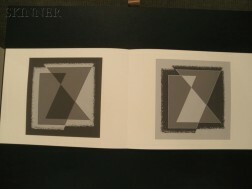 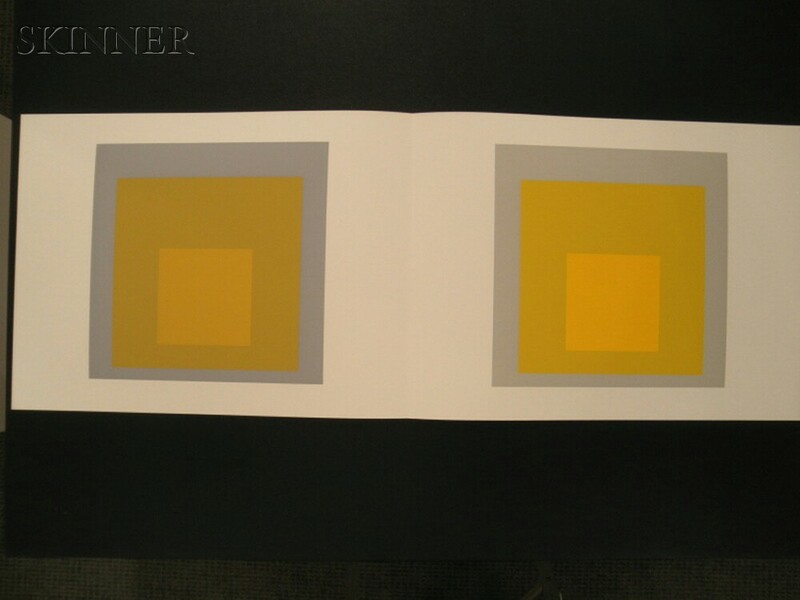 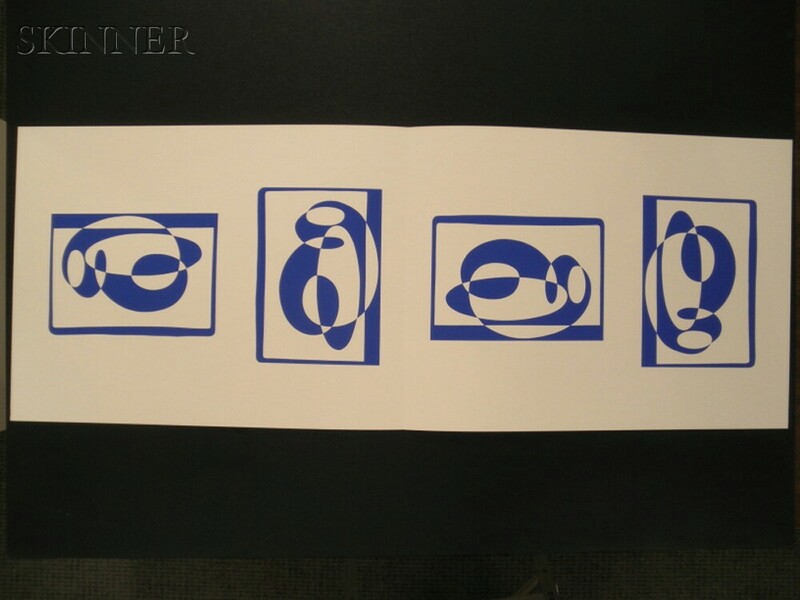 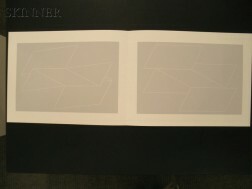 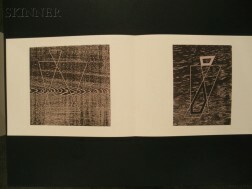 Identified on two pamphlets/colophons, each folder with artist's dry stamp. 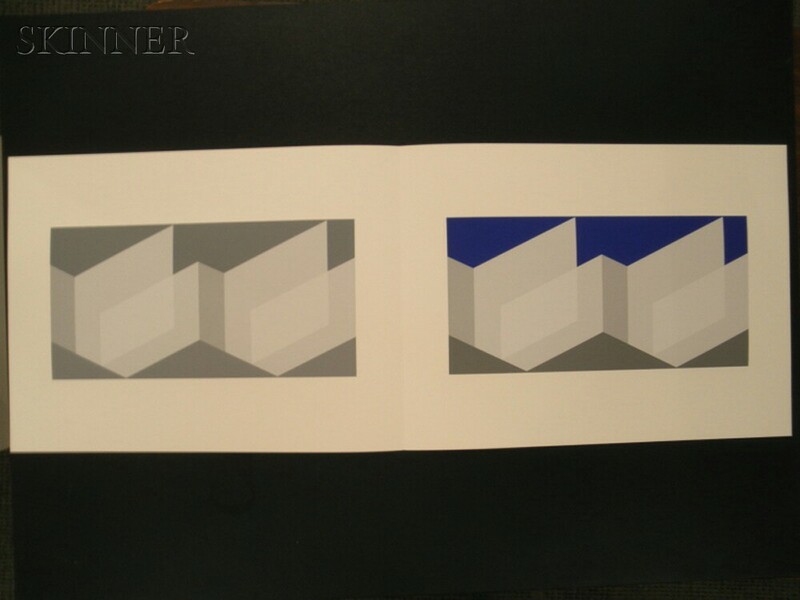 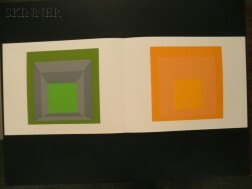 Color screenprints on paper, folder size 15 x 20 in. 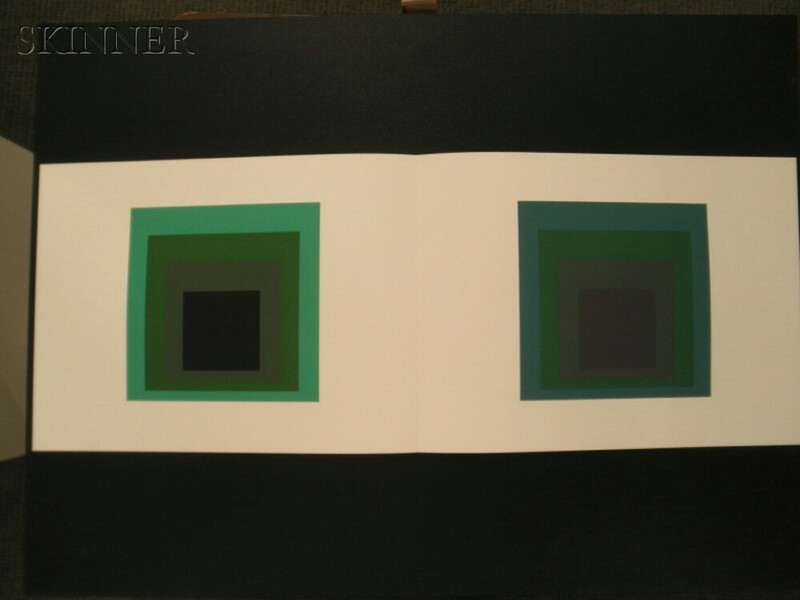 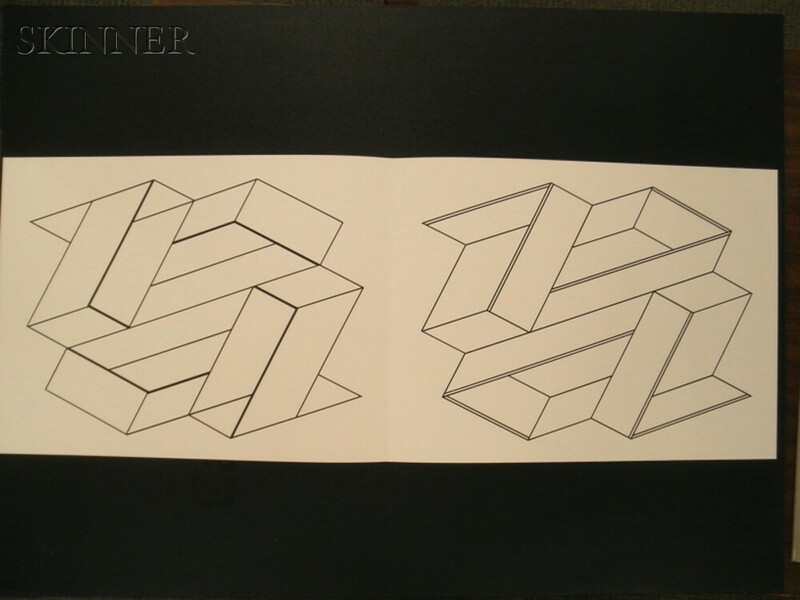 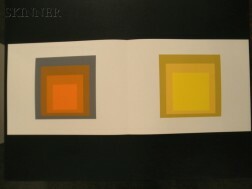 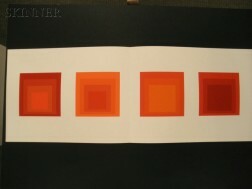 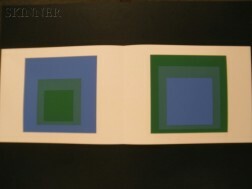 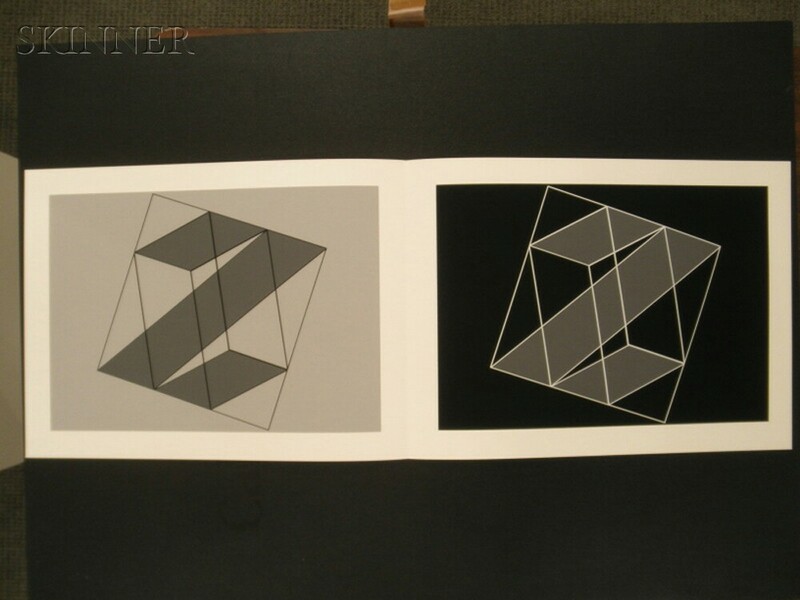 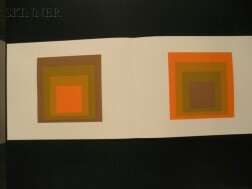 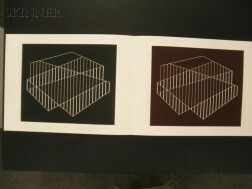 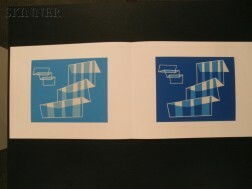 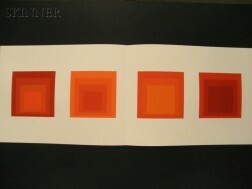 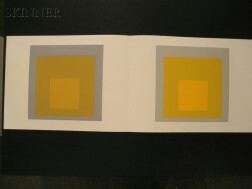 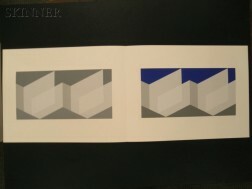 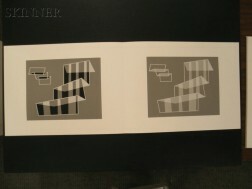 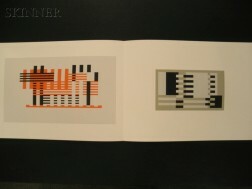 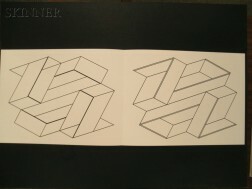 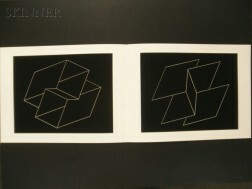 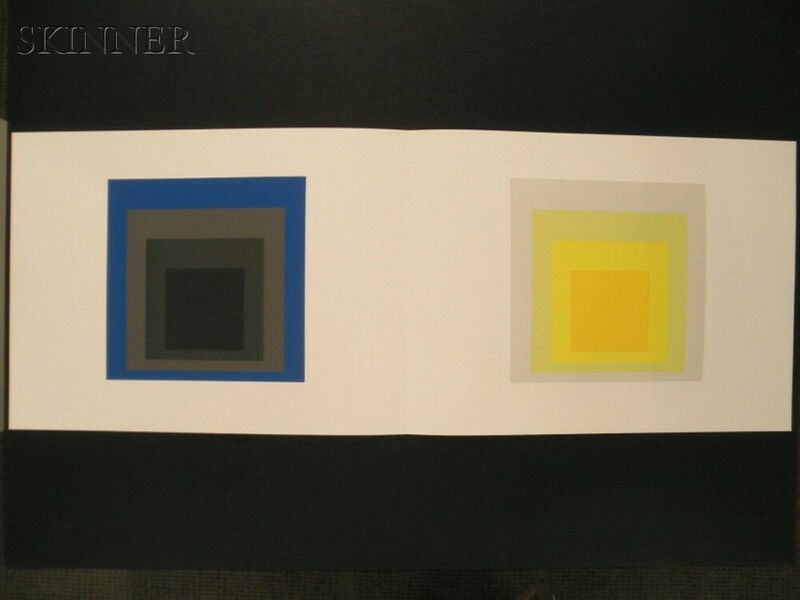 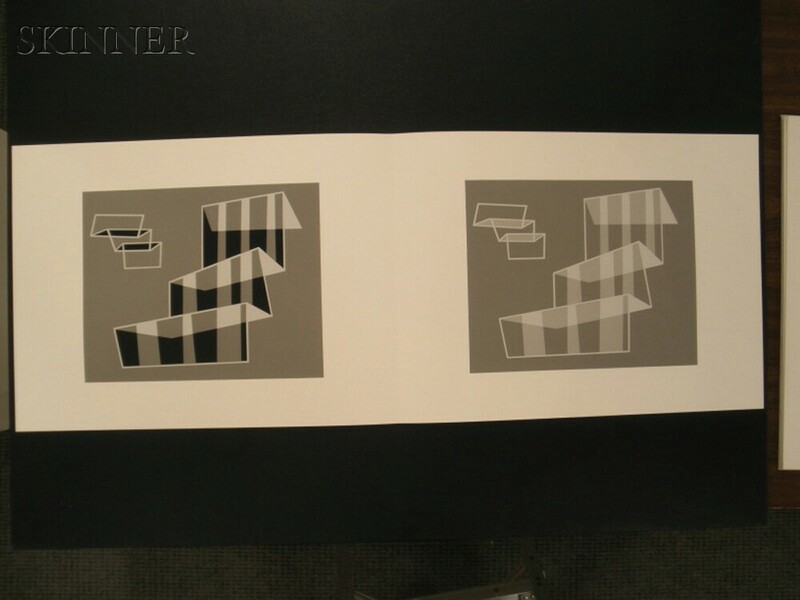 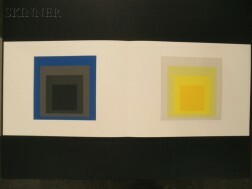 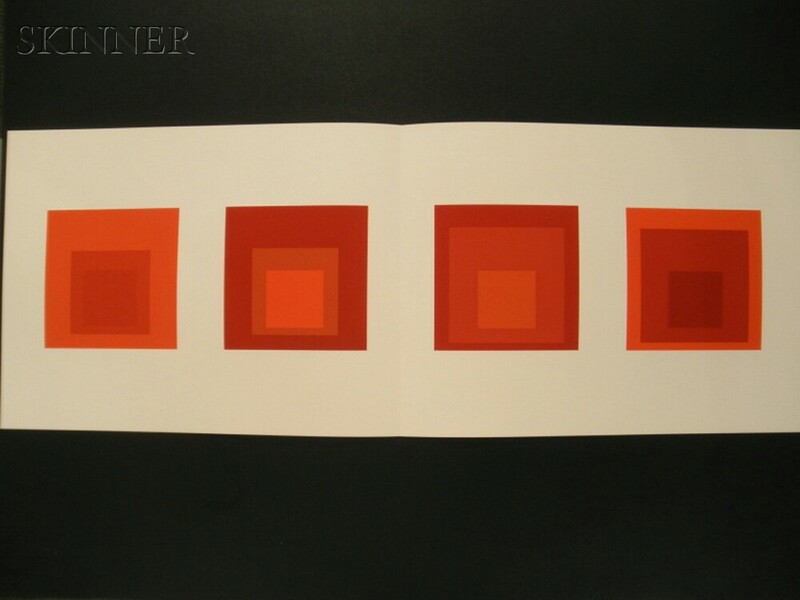 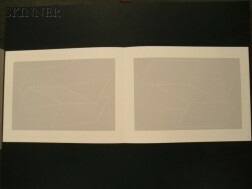 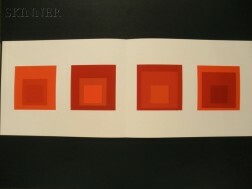 (38.2 x 50.7 cm), presented in an original folio box for Portfolio II. 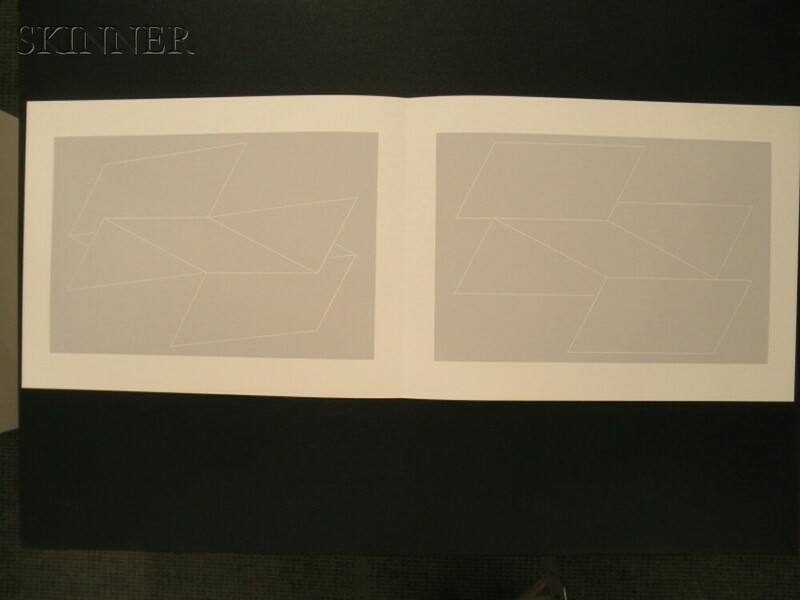 Condition: Some annotated in pencil on the exterior, extremely minor wear to some at the very tips of the corners.